Have a great voice or play an instrument and dream of showing it off in front of a sold-out crowd at a professional baseball game? You’re in luck. The Dayton Dragons Professional Baseball Team—the Class A minor league baseball team in Dayton, OH—have announced they are holding the 17th Annual Dayton Daily News National Anthem Tryouts on Saturday, Feb. 27, from 11 a.m. to 6 p.m. The tryouts will take place at the Mall at Fairfield Commons, and participants will have the opportunity to audition free of charge for a chance to sing the national anthem at a Dayton Dragons baseball game this summer. The judge’s panel will consist of local city officials as well as local celebrities. Although all of the tryout slots have already been filled, don’t give up! Standby auditions are still available. All you have to do is show up at the tryouts and register as a standby performer. These standby auditions are first-come, first served; however, the chance to perform is not guaranteed. Standby participants will be given a number upon arriving and will be called to perform in sequential order in the event that a pre-registered performer does not show up for their audition or if the auditions run ahead of schedule. The tryouts will include activities for kids, as well. Not only will the Dragons Green Team perform skits, but Dayton Dragons mascots Heater and Gem will be in attendance also. Don’t put off your dream of showcasing your talent in front of a crowded professional baseball stadium. Mark the 17th Annual Dayton Daily News National Anthem Tryouts on your calendar today! 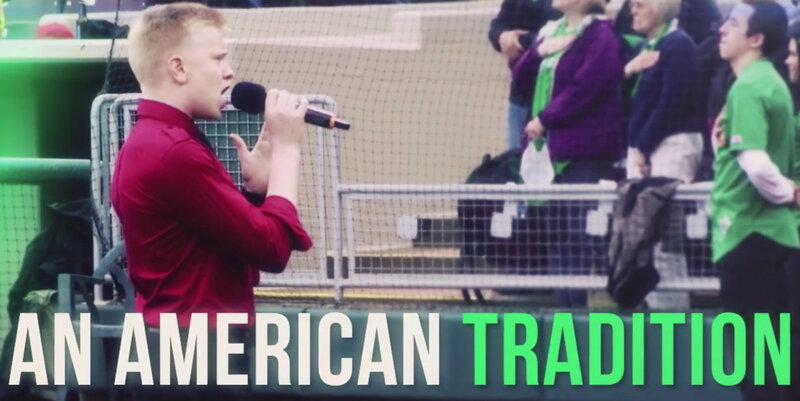 If you have any questions about the 17th Annual Dayton Daily News National Anthem Tryouts, contact Greg Lees at the Dayton Dragons Professional Baseball Team offices at (937) 228-2287 x139, email greg.lees@daytondragons.com, or visit them online.